So Summit Entertainment beat Rick Riordan (author of Percy Jackson and other mythology-themed YA books) in presenting the Egyptian gods in cinematic form. It is still a hero’s quest, but the main match is between Set (god of the desert and violence) and Horus (patron of kingship and basically known for his falcon head). From the looks of it, it’s more an action-adventure film that may be a decent video game in the making than serious knowledge of the Egyptian mythology. Go see the epic CGI battles for a temporary adrenaline rush like all the other Greek-inspired ones. Even I like getting that cheap thrill kick sometimes. I’m amused that they ejected Snow White from the story arc and made the huntsman the protagonist. Seems like princesses don’t bear a lot of gravitas more than warriors do nowadays! Thor, I mean, Chris Hemsworth will not only battle the previous evil queen. Elsa/The Ice Queen is in the game too. It isn’t fair to leave our valiant hero alone to do all the work. He is joined by a female warrior/love interest. I wonder if they’re gonna be the future King and Queen of the Kingdom. I have a strong hunch that’s the ending. 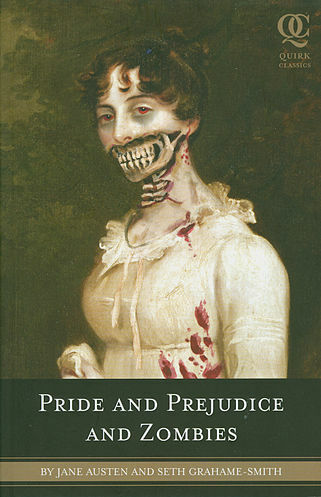 I didn’t buy any of the parody novels that came out, but this film adaptation might just start the trend. I checked the movie trailer and got quite amused by it, especially since the Bennet siblings wielded swords and were fighting zombies in their billowy dresses. Off-screen lovers Lily James and Matt Smith (11th Doctor!) are in one movie, and Cersei Lannister and her father, Tywin, have been casted too. Cool. Oh hey, isn’t that Foggy of Daredevil and Brienne of GoT? Where’d the biped creatures come from? I don’t remember them from the book. I wonder if people know about who will die, because I do! I need to watch this in the cinema because I haven’t seen a film there in months. If resources permit, of course. Sigh. It’s been a while since I picked up Philippine prose because my last one was a chapter of Trese, a graphic novel. Admittedly, this became a choice because I judged a book by its cover! 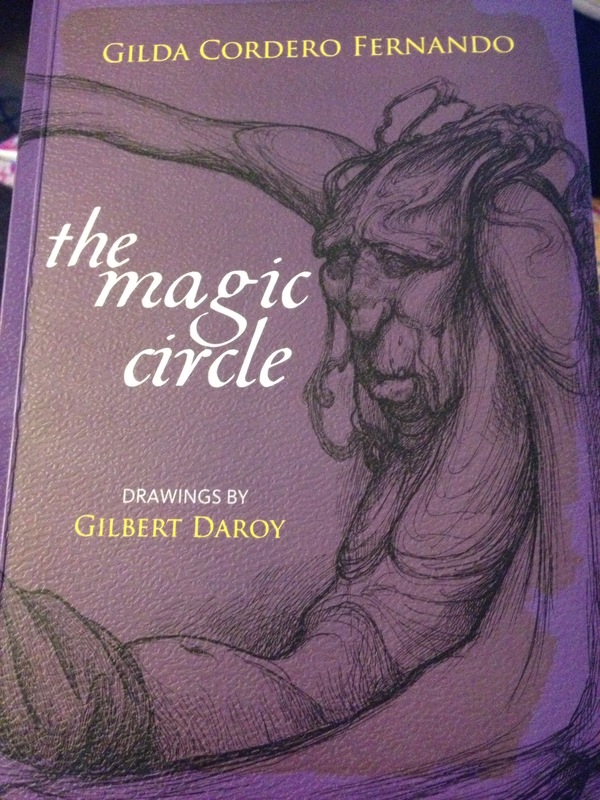 It appealed to me because 1) it is purple 2) the cover has texture 3) I like the illustration. Now let me be quick to say too that it is a book of well-known Philippine author Gilda Cordero-Fernando which convinced me that it is a good buy, aside from it being aesthetically pleasing to my taste. So what is it about? 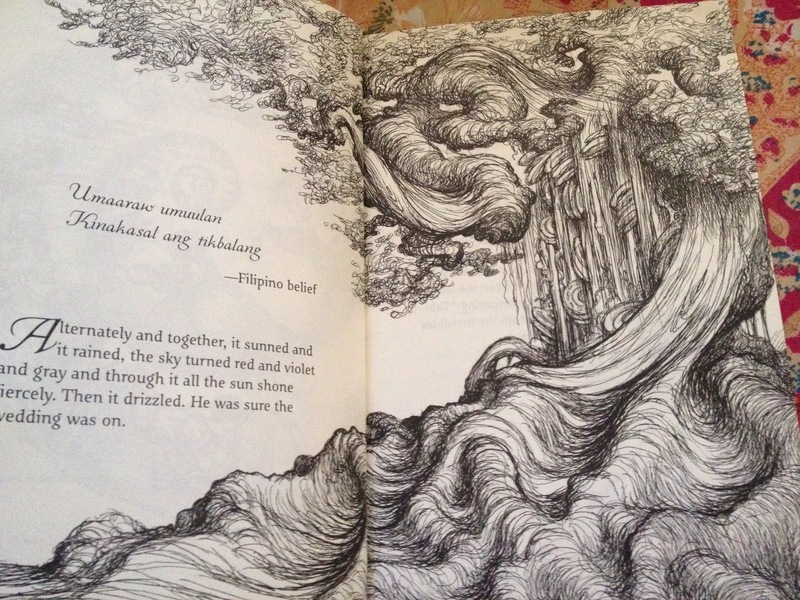 It starts off with a lavish sketch of a tree and a description of special, no, magical atmospheric conditions that is a peculiar phenomenon for Filipinos. The first character introduced is a poor boy named Jepoy, but the story isn’t about him at all. In the magic circle of Philippine mythological creatures and folklore, he was merely an observer to an important gathering. It was a wedding that turned into a meeting and then a funeral, where humans happened to be just accessories, topics, and the reasons for suffering. It is a short story about one’s life purpose, the role that we all play in contributing to the destruction of the environment, and how things die because we have forgotten. Worse, we now refuse to believe. It is short, but definitely not sweet. It is a jab at Filipino culture, where the forgotten are the main characters and where its strongest message would still be to take care of Mother Earth.